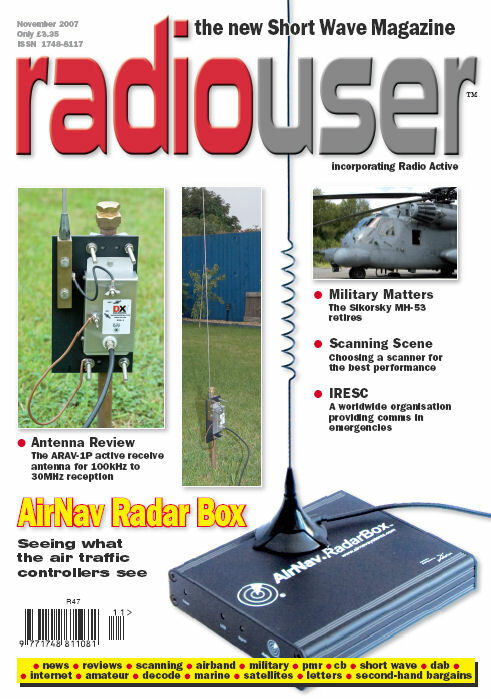 RadioUser Magazine, from the UK, has produced some great articles about AirNav RadarBox. These include a Preview which appeared in Sep 2007 and a complete review of the system that was published in the Nov 2007 magazine. They authorized us to have them available on our site. We feel they are a great way to present the RadarBox system. AirNav Systems is proud to announce that AirNav RadarBox has got a rave review in a major Swiss newspaper. The review attached. The attached document is Copyrighted SonntagsZeitung, Zürich, Switzerland. No reprints allowed. This time a review, with a mention on the first page of the world's leading aviation magazine, Airliner World. One more review with a big RadarBox picture on the frontpage of the magazine. This time on Australian Magazine Silicon Chip. RadarBox review published in RadCom magazine - The Radio Society of Great Britain Members' Magazine - March 2009. Click on the link under the pictures for full size. A review of RadarBox by the CQ Magazine in Spain. The major Japanese Aviation Magazine recently included a full article on AirNav RadarBox. Hope you enjoy reading it (for our japanese users, of course). One more review, this time on an Italian Flight Simulation Magazine. 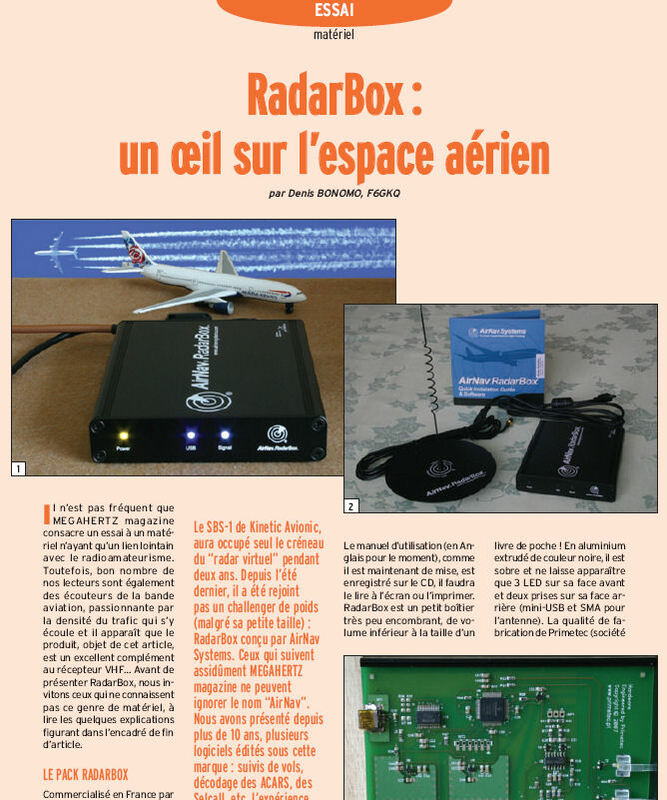 RadarBox article in the most important Brazilian Aviation Magazine. Brazil is a market where the number of RadarBox users is growing each week.